• Acquisition of related polka materials and reference resources. 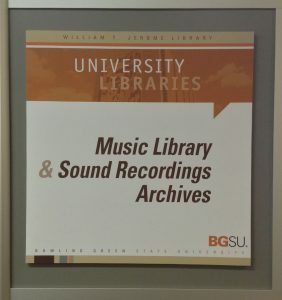 The 2015 BGSU crowd funding campaign for the Polka Preservation Fund was the initial effort to provide financial resources for archiving and utilization of the Vitak-Elsnic Collection. The university has developed a brochure that describes the Fund and provides information to potential donors. MPA, consistent with its corporate goals and objectives, has committed to work with organizations and professional musicians, as well as individuals that appreciate the importance of polka to America’s musical heritage, to actively encourage donations to the Fund.